We are 4 semester credits course. One semester credit is defined as 750 minutes of in-class instruction/activities, or 50 minutes per week for 15 weeks. 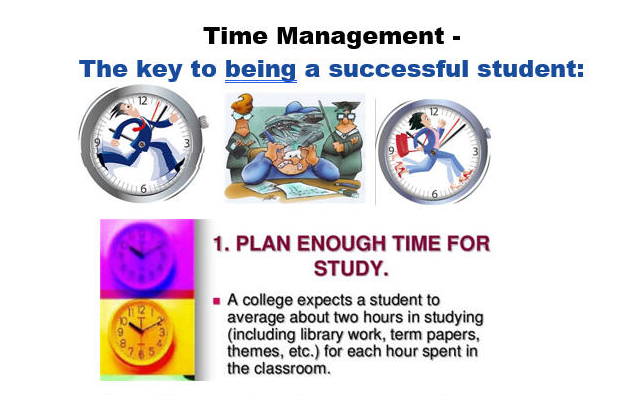 A study hour is 60 minutes not 50.
which requires on the average 6 hours of study per week. If we are a hybrid lecture/lab three hour class, then we meet on 1 hour per week (60 minutes) in-class for lecture, plus 2 hours for lab per week. Therefore 3 hours (or 150 minutes) of online video and/or self-study is needed to supplement the lecture. This does not include the normal 8 hours of study per week needed if there are 4 hours of lecture per week. 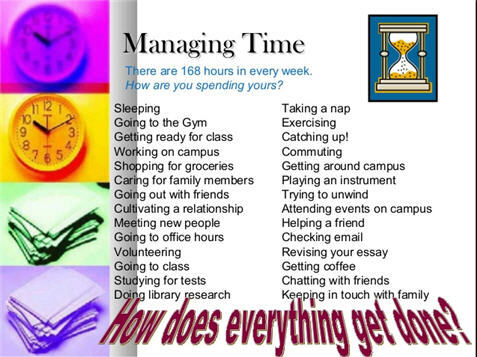 There are 168 hours in every week! 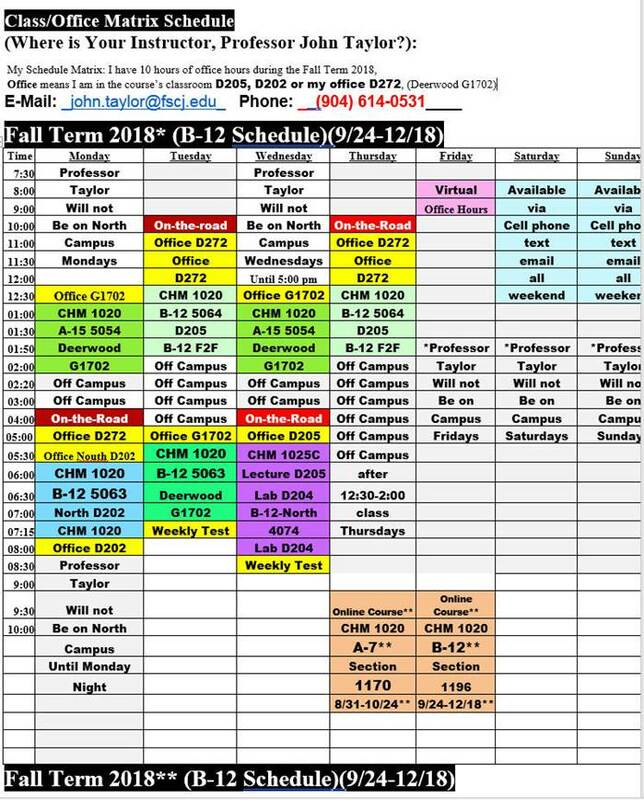 In class where you have on campus class time, the instructor will distribute Time Matrix sheets. Over the first two weeks of the class, monitor your time, and then fill in the 24x7 Time Matric and submit during the second full week of classes.